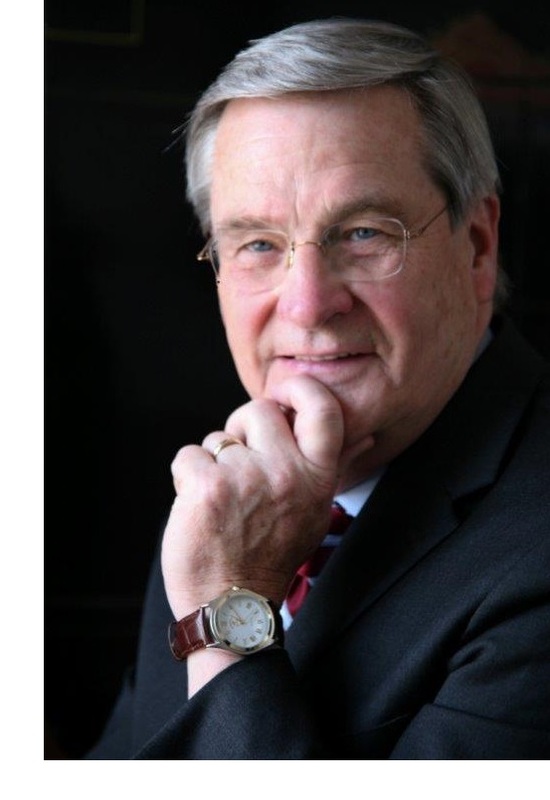 June 9, 2016 (Cleveland, OH) – Jerry Wareham, President and CEO of ideastream, plans to retire after the Board of Trustees of the multiple media public service organization names a successor. ideastream Board Chair, Kevin McMullen, has appointed a committee of Trustees to oversee the search process. The Committee is Chaired by Julie Raskind and Co-Chaired by Bob Smith. Members of the Committee include: Lauren Rich Fine, Bruce Loessin, Stephanie McHenry, Larry Pollock and Dan Walsh. Executive recruiter Ann Blinkhorn has been retained to assist with a national search process. “This is a carefully planned transition in leadership designed to assure continuity for the great programs and services of ideastream,” said Transition Committee Chair Julie Raskind. The search for a successor is now underway. Wareham will continue to serve until a new President and CEO is named and will assist with the transition. ideastream Chief Operating Officer Kit Jensen plans to continue in her current role. “Jerry’s dedication, hard work and commitment to community has helped to create the amazing organization ideastream is today,” said Board Chair Kevin McMullen. Wareham came to Cleveland in 1993 to succeed Betty Cope, who was the founding President and General Manager of WVIZ/PBS. He became President and CEO of ideastream in 2001 when the organization was created through the consolidation of separately incorporated public television and radio stations. Widely recognized for innovation, ideastream is now the consolidation of eight different educational and public service programs and services that had previously been independently managed, including: WVIZ/PBS, with four channels of television service; 90.3 WCPN, northeastern Ohio’s NPR News Station; WCLV Classical 104.9; The Civic Commons, a multiple media community engagement program; the Ohio Public Radio and Television Statehouse News Bureau and The Ohio Channel, both managed by ideastream on behalf of public broadcasters in Ohio to provide news and coverage of the events from the capitol; training for educators in the use of technology in education, including (NOTA) North Ohio Technology Association and (SMART) Science and Math Achievement Required for Tomorrow Consortium, both managed by ideastream on behalf of area school systems. A native of Clinton, Iowa, Wareham got his start in broadcasting at radio station KROS in his home town while he was in high school. He graduated from Marquette University in 1970 and, after working in advertising, began his career in public radio in Iowa in 1974. He has worked in public radio and television in Iowa, Maine, Virginia and Ohio, having served as President and CEO of Greater Dayton Public Television prior to moving to Cleveland. Active in the industry, he has served as Chair of the Board of America’s Public Television Stations, Vice Chair of the Board of PBS, President of Ohio Educational Television Stations and as a member of the Board of American Public Television, as well as a number of public media study groups and task forces. In the community he has served as a member of the Boards of Bank One Cleveland, OneCommunity, the Community Partnership for Arts and Culture, The Cleveland Arts Prize, The Diversity Center, Chagrin Arts, The Cleveland Council on World Affairs, the United Way of Greater Cleveland and the Government Affairs Committee of the Greater Cleveland Partnership. He is the recipient and co-recipient of numerous industry and community honors and awards.